Wordzen Blog - Page 3 of 7 - We write your emails for you. 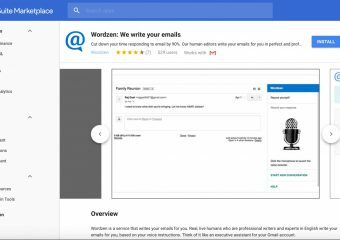 Wordzen is now available as an official Gmail Add-on. 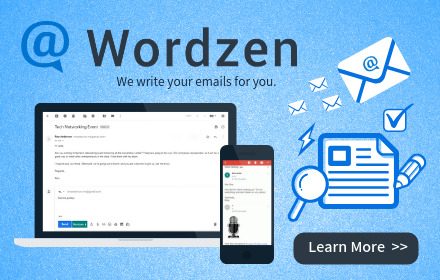 This extends the functionality of Wordzen to Android devices (iPhone users, look here) and adds some important new features. How is Wordzen’s Gmail Add-on different from... Continue reading "Wordzen is Now an Official Gmail Add-on"
While we do not want to encourage anyone to remove the most productive email tool (Wordzen) from their Gmail account, we recognize there are times you may need to do... Continue reading "How to Remove a Gmail Add-on"
In April of 2018, Google published Wordzen as an official Gmail Add-on. Gmail Add-ons are “plugins” for Gmail that work on both the desktop and Android devices. They do not yet... Continue reading "Using Wordzen on an iPhone [Updated October 2018]"
Anyone who has learned a second language knows what a challenging task it can be. Even accomplished linguists complain that some terms or phrases can be difficult to recall, especially... Continue reading "Bilingual Bio-Tech Researcher Uses Wordzen to Overcome Business Email Challenges"
What does “regular email correspondence” mean? 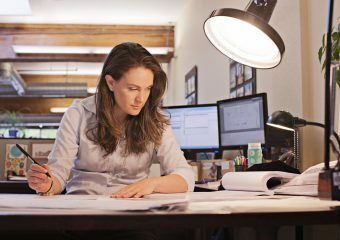 Wondering why an editor rejected your email? Wordzen editors use their judgment in deciding to accept or reject an email, using “regular email correspondence”... Continue reading "When Do Editors Reject Emails? Guidelines for Use"
Wordzen Email Editing • Time Saving and Peace-of-Mind are Primary Wordzen Benefits for Geeks Chicago Although Geeks Chicago CEO Mark Tuchscherer is as clued in to the latest in technology... Continue reading "Chicago Website Development Firm CEO Mark Tuchscherer Loves Wordzen"
A Well-Written Grant Request Cover Letter May Clinch the Funding You Need What is in a Proposal? A proposal or request for funding will typically involve extensive documentation, including financial... Continue reading "Writing a Grant Request Cover Letter"
Microsoft conducted a survey of Canadian media consumption and found that the average attention span for online readers is eight seconds, down from 12 seconds in 2010, and now shorter... Continue reading "Five Tips for Writing More Effective Emails"
Many job seekers hire professional resume writers to create a dazzling (and expensive) account of their professional accomplishments, qualifications, and experience, but when they email it to a prospective employer,... Continue reading "Five Tips for Writing an Effective Cover Letter"
Application Process Many job seekers focus only on their resumes as they prepare to communicate with a prospective employer. While important, a resume is only an outline of a candidate’s... Continue reading "Job Seekers Should Mind Their Emails"